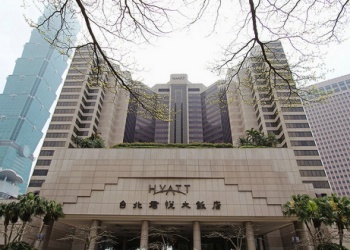 Grand Hyatt Hotel, Taipei, Taiwan is located in the center of Taipei's business, shopping and entertainment district, the luxurious Grand Hyatt is well known by local Taipei residents to be haunted. Rumor is, this grand hotel was built on the land of a wartime political prison where many prisoners were executed, the hotel has supposedly been home to a number of ghosts ever since. 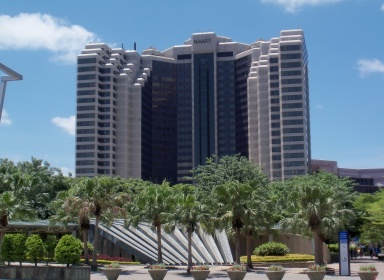 Because so many guest have reported paranormal activities and never return, the hotel's management decided to consult Feng Shui experts. 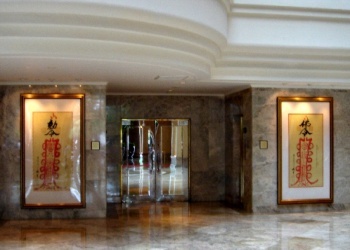 Chinese calligraphy and scrolls have since been installed in strategic places within the hotel in the hopes of warding off restless spirits. Many visitors swears that they saw a ghost at the top floor, and refuses to ever stay there again.